The Migration Studies Working Group at OSU would invite everyone interested in migration to join them for the first Migration Studies Symposium at The Ohio State University on April 7th (11.45am-4.30pm), organized by The Migration Studies Working Group. 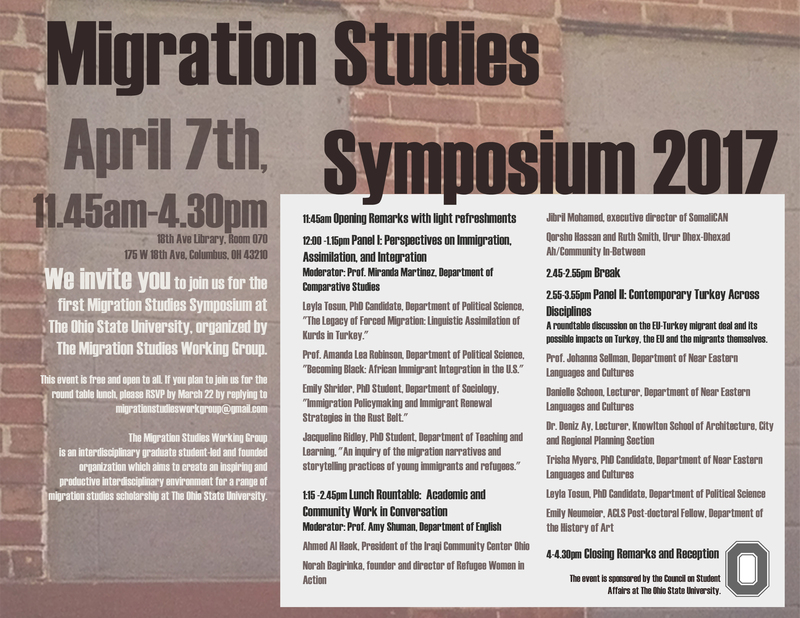 The symposium will be held at 18th Ave Library, Room 070, 175 W 18th Ave, Columbus, OH 43210. This event is free and open to all. Refreshments and lunch will be provided. Please RSVP by March 22 by participating in the survey. 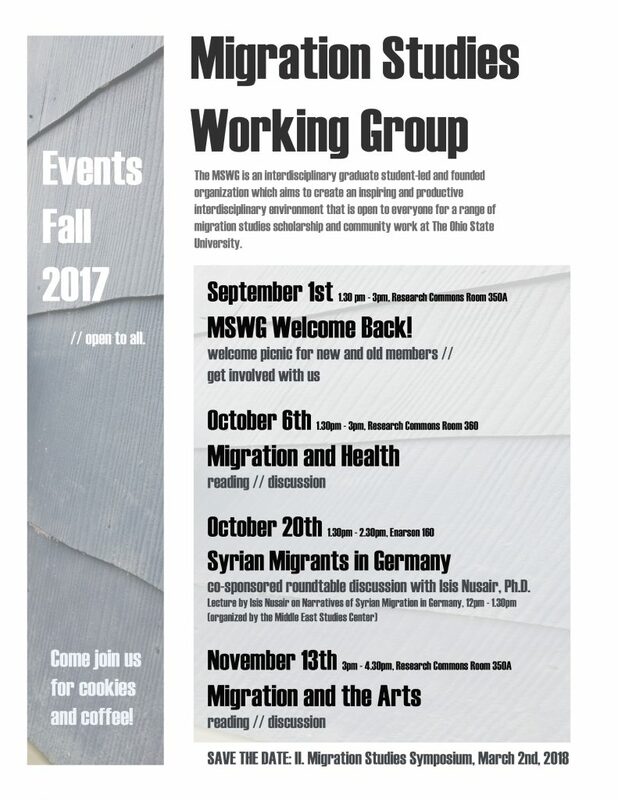 The Migration Studies Working Group is an interdisciplinary graduate student-led and founded organization which aims to create an inspiring and productive interdisciplinary environment for a range of migration studies scholarship at The Ohio State University. The Migration Studies Working Group at Ohio State University is comprised of students and faculty who are interested in discussing issues related to migration, immigration, and mobility. 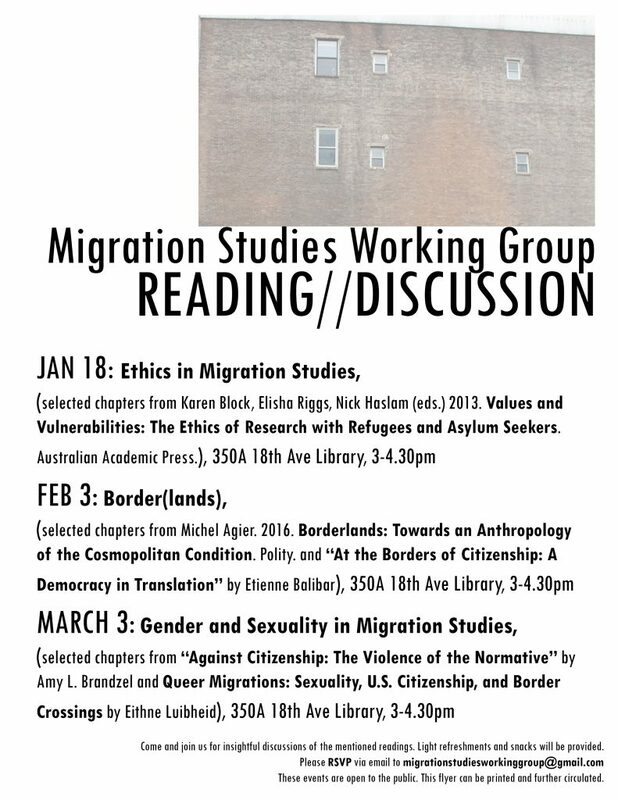 Please RSVP to migrationstudiesworkinggroup@gmail.com by Thursday 2/2 if you are planning to attend the February discussion. 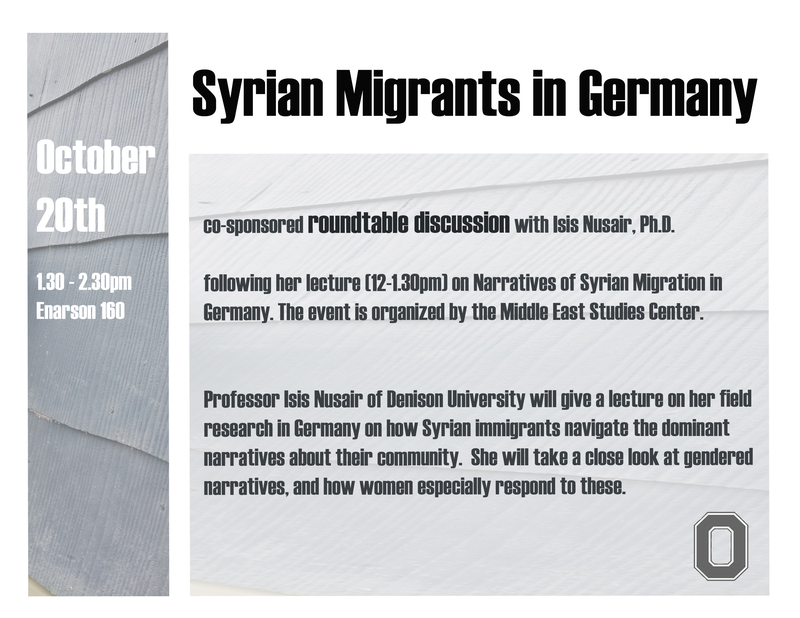 Friday’s discussion will feature guest speaker Professor Peter Shane of Moritz College of Law. You can pick up printed copies of the readings in the Ohio Union at the Keith B. Key Center for Student Leadership and Service Resource Center (2nd floor).